After tasting 300 Burgundy wines from the 2016 vintage my recommendation is to buy more 2015 reds and 2014 whites unless you can try the 2016s before you buy them. This is the first vintage since 2004 (for reds) where I feel it's not even possible to expect quality wines from producers from whom one has bought wine for 20 years. Whilst the bad frost in April resulted in low production volumes it has not resulted in low yields from individual vines (as in the volume of wine per pied de vigne) which is what would produce concentrated, complex, interesting wines. For buds that did survive the frost, the vines' growth cycle stalled for three weeks which is why the harvest was so late despite the hot and sunny July and August months. What will define the wines is therefore the damp, cool spring, frost damage. 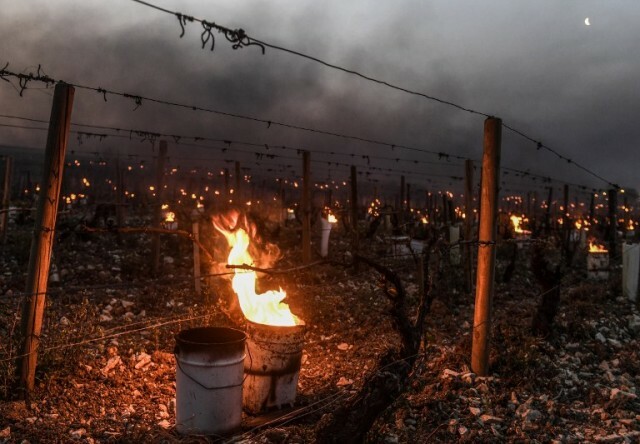 the stalled growing cycle of the vines, the need to treat the vines multiple times to negate the threat of mildew and the late harvest (from September 20th onwards). There is no reason to expect these vintage conditions would produce stellar results. And they have not. The 2016 white Burgundies are very mineral and green. Aside from a few standout vineyards the dry minerality dominates to such an extent that the wines are imbalanced. Very few wines have the ripe fruit to balance the excessive minerality and lime flavours. Fans of rich, opulent Meursault will be sadly disappointed. There is a Pouilly-Fumé flint-and-lime mineral freshness to the wines which makes them seem one dimensional for a white Burgundy. There are dominant citrus, green apple and lemongrass flavours. This is surprising given the hot and sunny July and August weather but reflects the impact of the frost on the vines' growing cycle in late April and May. If they were priced at the 2011 level then it would be easier to recommend investing. But the 2016 white Burgundies are between 40% and 100% more expensive than the 2011 white Burgundies. This is due to to the low production volumes in 2014, 2015 and 2016 rather than the quality of the 2016 wines. Experienced Burgundy imbibers will even be disillusioned with wines from their most trusted producers who were unable to harvest chardonnay grapes with full ripeness. Selecting 2016 red Burgundies is going to be a challenge for anyone who has not been able to taste a wide range of wines before buying. Generally the 2016 Côte de Nuits reds are better than the 2016 Côte de Beaune reds. The wines from the latter sub-region are surprisingly variable in style and ripeness -- even from the same producer. This is due to the three-week pause in growth of the vines after the late April frost and in some cases also an extended harvest period. There are wines from famed producers with pretty, floral noses and lean, angular bodies which lack fruit matière. Overall the wines from Marsannay, Fixin, Gevrey and Morey stood out as being more consistent across producers and more expressive of classic Burgundy Pinot characteristics. There are some gems in the Vosne, Nuits and Aloxe appellations but there are equally some lumps of coal. Small quantities vinified in the Côte de Beaune seem to have resulted in unpredictable variations in style which go far beyond an expression of terroir -- one of the claimed positives of the 2016 vintage for red Burgundies. Looking at the 2016 vintage from a consumer's perspective, it is not as bad as 2004 when most of the wines on the Côte de Nuits had a green pepper taint / tree bark and had not reached phenolic ripeness. The fundamental problem for imbibers is that the 2016 Burgundies are extremely expensive (from 5% to 35% more than 2015), they are very inconsistent even within top producers’ own portfolios, and the quality is significantly below 2015 for reds and 2014 for whites. So why would you buy inferior wine at elevated prices? Because you need at least some in you cellar to make your life complete! My recommendation is to try before you buy or buy a small volume from Gevrey, Morey, Vosne and Fixin and wait a few years for the secondary market if you find you really enjoy what you have because it seems highly improbable that the 2016 red Burgundies will increase in value. And you have the healthy, bumper 2017 crop to look forward to!